Ashish Kumar, successfully scored 667 marks in NEET 2018 with an All India Rank-46. 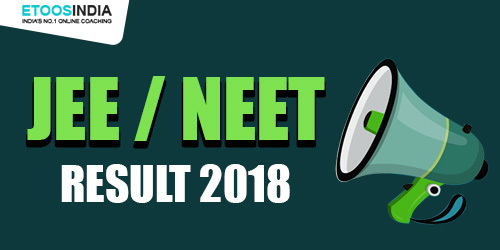 Ashish says “I am extremely delighted with my NEET result. Credit for both my marks and rank goes to the brilliant faculty of ETOOSINDIA who helped me throughout. The Smart Learning Centers are well-equipped and provide a very student friendly study environment”. Our another Student, Jitendra Yadav with 656 marks secured AIR 96 position in NEET 2018. 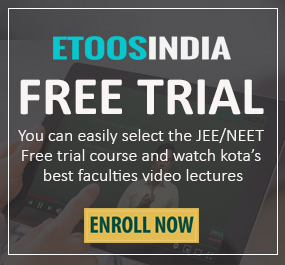 “ETOOS has changed my perspective on e-learning. Their online videos are concise and of superior quality. The entire faculty has greatly supported me with my NEET preparation. I am thankful to my parents who took the right decision of enrolling me with ETOOSINDIA”, said Jitendra. Talking of JEE-2018 Advanced results which were out recently, Hitesh Kandala, ETOOSINDIA student (Kota) scored a total of 262 marks and bagged an All India Rank (AIR) 168. According to Hitesh, what made him excelled one of the toughest exams of India was not just hard work, but a positive attitude as well. He enjoyed learning through ETOOSINDIA online videos. 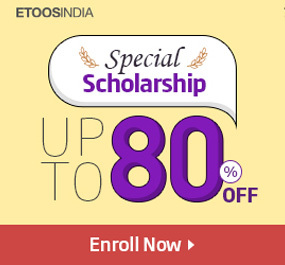 “With ETOOSINDIA you can study at your own pace anytime anywhere. The teaching style of the faculties is mind-blowing. They clear the concepts right from scratch. I am elated to join ETOOS. This decision has brought me closer to my dreams”. We have to thank students and parents for believing in us. And our heartiest congratulations to all the successful students who have made us proud! If you want to be the next one in the league then enrol with ETOOSINDIA now and join us in the journey of success.